Are People Better Off With Social Technologies? All you have to do is think of the lapse of time, the way it was ten years ago, to obtain information from a colleague or supplier. Surely you would agree we are better off with technologies like news feeds and text messaging. In fact, nearly half of the 2008 presidential election campaign (Pew Research Center, 2008) was mobilized through social media. Today, social technologies provide an immediacy that could not be achieved ever before. Social networks, blogs, and email are some examples. As former writer and blogger for About.com, part of IAC, Ann created the Collaboration site to help readers make these social technology choices. 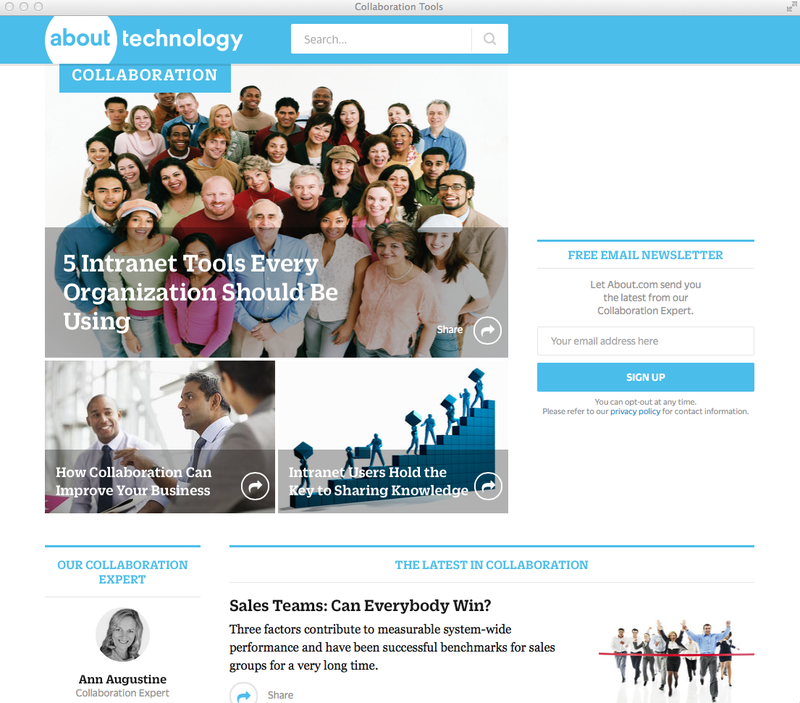 The About.com Collaboration site (now part of Lifewire) will help readers learn about the best collaboration software, including intranets/extranets, web conferencing, wikis, social software, innovation management software, and project collaboration tools for teams. Thousands of hours were spent researching and testing products, combined with more than 50 software executive interviews to produce over 400 articles and blog posts. Through established relationships with partners over the duration of this project and keeping readers up-to-date with recommendations and best practices, Ann has been a part of the collaboration software industry to see its widespread use. Access these knowledge resources on Lifewire’s selection of collaboration tools and usage guidance. To hire Ann for collaboration software planning and implementation, please email ann@annmaugustine.com. One Response to Are People Better Off With Social Technologies?